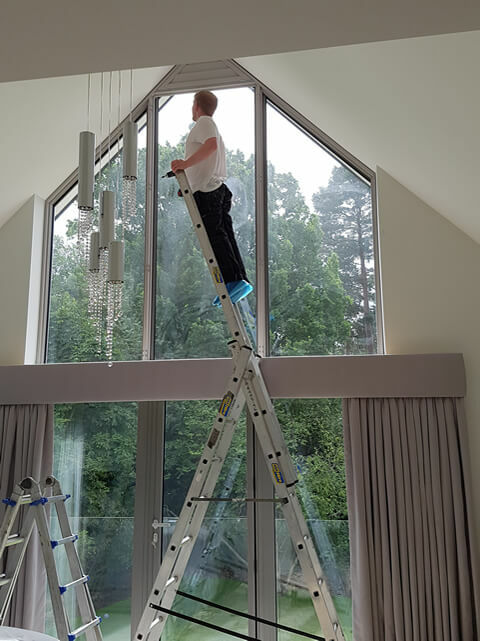 We were approached by a customer looking for the ultimate window dressing for a large window in their property that sat above some sliding doors facing out to the garden. Not only was the window large and high up, but it also had a triangular shape to the top of it. 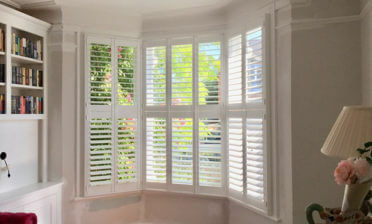 Our bespoke shutters are the ultimate solution for a window like this, compared to soft furnishings. 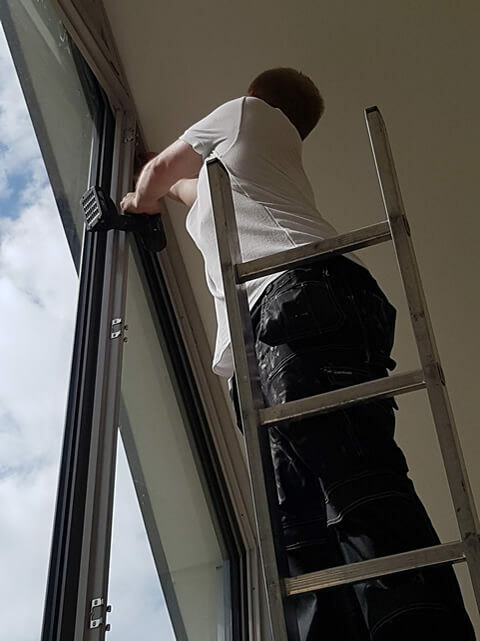 Our Surveying Technician Mark Davidson took precise measurements before the design, ensuring that our fitting technicians Ben and Mark Washington could perfectly install our made to measure shutters with precision accuracy to the window. 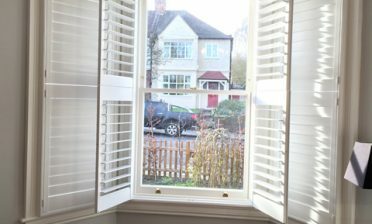 The shutters were created from our Sumatra Range with beaded shutter styles and created to match the exact shaping of the window. 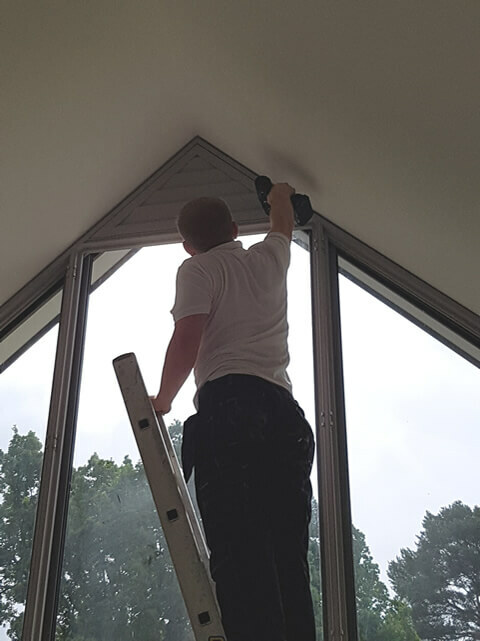 All our shutters are bespoke made to the specifications of your window so we can literally create shutters to suite any installation! 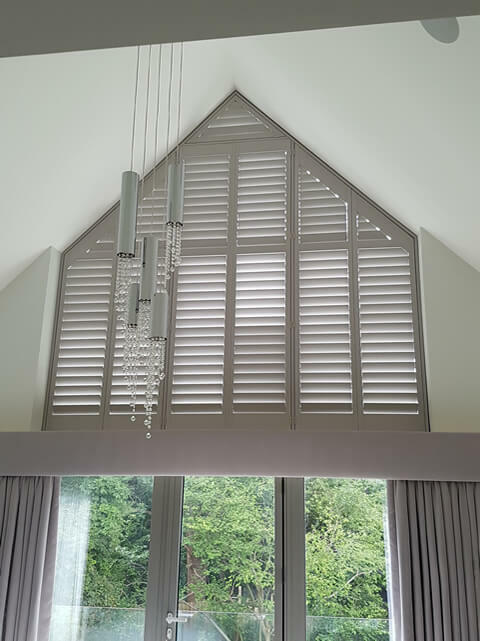 We used 79mm louvres throughout with a minimalistic hidden tilt rod system. 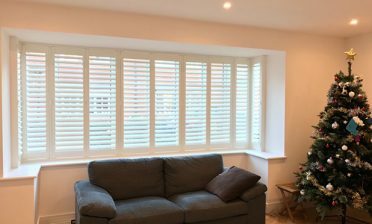 The shutters were finished in a Sea Mist Paint with stainless steel hinges. Our customer was extremely happy with the end result and said that they really exceeded her expectations!